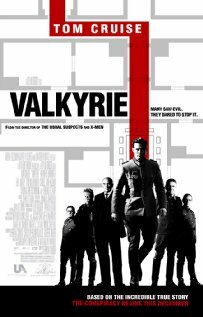 Valkyrie (2008) Technical Specifications » ShotOnWhat? Line Producer: Additional Photography, U.S.
Production Supervisor: Additional Photography, U.S.
Second Assistant Director: Additional Photography, U.S.
Key Grip: Additional Photography, U.S.
First Assistant Camera: Additional Photography, U.S.
Key Rigging Grip: Additional Photography, U.S. Camera Operator: Additional Photography, U.S.
Best Boy Electric: Additional Photography, U.S.
Special Effects Coordinator: Additional Photography, U.S.
Production Designer: Desert Sequences, Additional Photography, U.S.
Supervising Art Director: Additional Photography, U.S.
Set Decorator: Additional Photography, U.S.
Boom Operator: Additional Photography, U.S.
Sound Mixer: Additional Photography, U.S.
Extras Casting Coordinator: Additional Photography, U.S. Hair Stylist: Additional Photography, U.S. Makeup Artist: Additional Photography, U.S.
Key Set Costumer: Additional Photography, U.S.
Assistant To Costume Designer: Additional Photography, U.S.
Costume Ager: Additional Photography, U.S.
Costume Supervisor: Additional Photography, U.S.
Military Advisor: Additional Photography, U.S.
Assistant Production Coordinator: Additional Photography, U.S. Pilot: P-40, Additional Photography, U.S.
Production Coordinator: Additional Photography, U.S.
Aerial Coordinator: Additional Photography, U.S. Payroll Accountant: Additional Photography, U.S. Script Supervisor: Additional Photography, U.S. Location Assistant Accountant: Additional Photography, U.S.
Safety Advisor: Additional Photography, U.S.
Production Secretary: Additional Photography, U.S.
Aerial Operations Manager: Flying Pictures Ltd.  Stunt Coordinator: Additional Photography, U.S.
Action Consultant: Additional Photography, U.S. Stunt Pilot: Additional Photography, U.S.
Transportation Captain: Additional Photography, U.S.
Transportation Coordinator: Additional Photography, U.S.
Picture Vehicle Coordinator: Additional Photography, U.S.